In terms of the annual recurrence, what every film fan does is prep his schedule for the movies to come. Summer Season is the first to make the cut. Note down all obligatory superhero sequels and prequels and threequels. Check off the thirty-years-on sequel to a classic property. Set out a routine on which remake clashes with which other reboot, and see which you’d value most, with the team in charge. After the Summer Season, comes Oscar Season. Biopics, historical accounts, directorial magnum opus’. You’d never expect to find the release date to Tom Hooper’s next period drama or Steve McQueen’s next daring project on a taboo topic, right bang in the middle of June. What I’m trying to get at here, is the cycle. Life is built around cycles: the water cycle, the orbital cycle, Halfords and its wide array of cycles up for purchase (alright, that one, not so much). Nevertheless, cinema has followed suit, with its oscillations of active highs in these highlighted seasons, and the dour lows of the newly appointed cinematic wasteland that is the January period, or the September lull. All this spells out is one simple concept: trend. Each season is dominated by whatever is topical at the time, what could garner the most attention. During the Summer, we see about six or seven superhero cinematic universe entries, furthering the ludicrously expansive story that all started when one guy, Robert Downey Jr’s Tony Stark, decided to build a flying metal onesie. During the Autumnal Oscar run, we see films about gender and racial identity, such as last year’s spurt of films – Barry Jenkins’ Moonlight, Denzel Washington’s Fences and Theodore Melfi’s Hidden Figures – tackling this issue in response to the noteworthy ignorance of the Academy in recognising the artistic achievement of filmmakers and cast members of colour. Now, I understand the reasons behind this. When a trend catches on for the blockbuster franchises of the Summer, for instance, the simple solution is to keep producing more of the same, in order to produce similar gross profits as attained by the original. Similarly, with Oscar season, by focusing on a widely debated topic, it is hoped the rewards of Academy recognition will spread the word of the subject, as well as the talent involved. However, there is a significant issue embedded within this cluster of film production: trends have pushed the volume of production too far, and cinema is starting to lose its fire. The unfortunate reality of society is that more of the same begins to grate on us, turning us against whatever the film is wishing to make popular, or bring to our attention. I myself have succumbed to this circumstance: with the continual announcement of yet more Marvel, DC and Fox superhero properties, I’m starting to question the strength of these franchises and how they are really beginning to lose their distinction from one another. Furthermore, by releasing several films focusing on the same theme, whether that be racial minorities or a specific historical moment, the cynicism of society begins to turn against these worthy endeavours. Consider Jenkins’ Moonlight in this regard. A stunning piece – I myself gave the film five stars and believe it thoroughly deserved best picture. However, a deplorably vast number of viewers commented on how its nomination, and subsequent win, came about due to the Academy’s lack of ‘balls’, by awarding a film that focuses on the socially challenging experiences of a gay black man the top award, as though this subject garners an automatic win. I believe this is a serious problem for cinema today, and bringing it back to trends, this is simply because those who bring films to our cinema screens have simply forgotten to marshal the capacity of movies made per year. This seems a little simple as a concept, and perhaps a little disparaging to the one thing I feel most passionate about: the film. However, when you consider how our experience would change if the number of films produced, was in fact reduced, one’s perspective is enticed by this prospect. For example, let us consider the newest trend to take Hollywood by storm: the LGBT/Black character marketing tool. It has become apparent that, by revealing the sexual or racial identification of a character and how that character’s film hopes to subvert stereotypes, this in itself has become a trend, and one that is detrimental to a film’s public image. The very act of subversion should not bring attention to itself, so as to be a transcendent experience in itself, during the act of spectatorship. If Simon Pegg and Justin Lin hadn’t revealed the homosexual identity of Sulu before the release of Star Trek Beyond, the reveal would have been refreshing, even powerful: they had the gumption to change up a character cemented in pop culture, in order to strengthen awareness for the normality of homosexuality. Instead, the very trend of revealing this characteristic, for the purposes of marketing, is entirely detrimental to the fundamental principle of the intention: in other words, by announcing how you’re integrating it into a film to demonstrate how it is normal, you make it abnormal, as it stands out. You may be wondering, what relevance does this have to the volume of films produced. Well, by the very nature of financial gain, one has to have something particular to their product, in order for it to sell on the market, above and beyond its competitors. The sexual and racial identity of characters has become one such attribute. And yet, so many films focus on this aspect, that it has become difficult to sympathise with whoever develops a screenplay or production with this kind of subversion of stereotypes in mind. Beauty and the Beast, Power Rangers, Star Trek Beyond, even James Gunn suggesting that Marvel characters could well carry the same sexual variety, all of these congregate together, turning us against an otherwise promising technique of shedding a light on the minorities. If we reduced the number of films made, this kind of grating exploitation of otherwise brilliant ideas would no longer be an issue. The same applies to franchises, or the newly termed ‘cinematic universe’. It appears as though every known studio has latched onto this concept: Marvel, DC, Universal with their Horror Monster franchise, Ghostbusters, Fox and the X-Men universe, even Hasbro is intending to build together a universe based on their toy properties. It once was an idea that was fresh and inviting: how could a studio develop such a feat of narrative continuity, as to produce a huge slate of movies that all fell into place on a timeline? Now, it is a standardized method that reveals the financial gluttony of certain studios and their intentions: we’re just being roped in to watching the same narrative play out, with the same apocalyptic beats, and the same redemptive or revelatory story arcs. It is ultimately an impossible thing to ask, for studios to reduce the number of films being made, as it has proven to be such a success. But ultimately, the fans will eventually turn against said franchises, and what was once beloved will become forever tarnished by the ailment of mediocrity that strikes at the heart of most films nowadays. There is simply too much to choose from, and not a whole lot of it different. The solution would be to avoid building so much momentum towards trends and topics. Originality is an impossibility, but by simply reducing the number of films made to supplement popular demand, the cracks and blemishes of narrative conventions would not shine through so manifestly. One could finally appreciate Moonlight for the beautiful commentary on the LGBT black experience that it is. One could also enjoy the communally aligned event of seeing a Star Wars film, without thinking ‘it’ll only be a year before we feel like this again’, losing its charm. It’s up to directors to play with their own spin on whatever it is that they are working on. Only to use an example, Marvel needs to allow filmmakers such as Taika Waititi and Scott Derrickson to express their cinematic chops, through the narratives of familiar characters such as Thor and Doctor Strange, respectively. By doing so, we’d be charmed by the variety, welcome the experimentation. 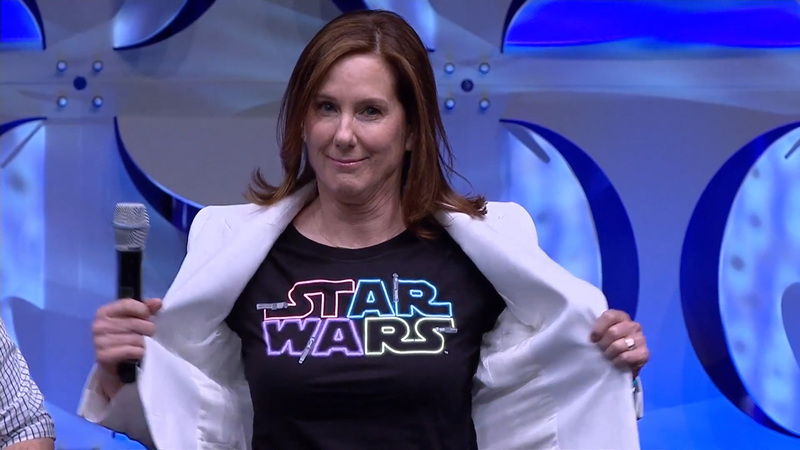 Additionally, Kathleen Kennedy needs to avoid augmenting the number of Star Wars films produced. Directors such be given the choice as to what they want to adapt, how they want to go about it, but also be allowed to take their time. Rushing films to the screen, as is commonly the case now with the volume being released, is really starting to affect the quality of what we see up on the screen. Time needs to be spent on easing out the anomalies and producing something squeaky clean yet daring in its vision, not settling for the norms. Less is more, as I’ve said in the title. Trends are being taken to their literal extent. Popular franchises and topics are fizzling out into obscurity. Keep it streamlined, leave people wanting more, and the follow-up will be succeeded and then some. Over-provide, and cynical opposition will start to set in. I love cinema, it is my passion and my profession. I do not want it falling to repetition: keep us viewers excited for what is in store, rather than degraded by what we know will inevitably come our way, wrapped in the coverings of financial opportunism and unambitious design.